Striking out and starting on your journey as a filmmaker, there’s going to be the temptation to succumb to G.A.S. or “gear acquisition syndrome.” And it’ll benefit you in the long run to resist that temptation. 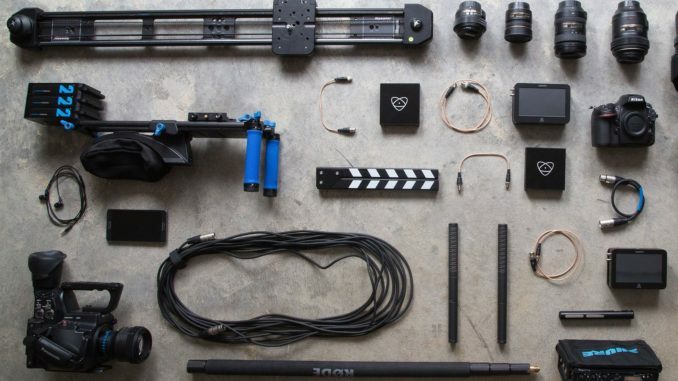 But even the most basic filmmaking kit has these nine things, and if you play your cards right, you’ll spend less than $300. This list comes from Ted Sim over at Indy Mogul, the latest incarnation of that channel, and so far, I’m really digging the content. It’s informative, covering a wide range of filmmaking content, entertaining, and Ted is enthusiastic in his commitment that the channel is here to stay. 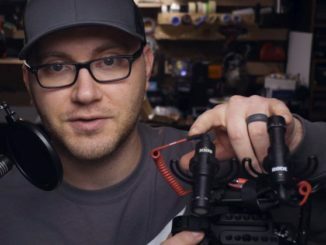 To kick off the channel, Ted has been traveling all over the country and interviewing youtubers and filmmakers about their workflow, what they do, and what they use, and he stopped by and chatted with another of our YT favs … Caleb Pike to talk about what’s should be in your film kit. 1. 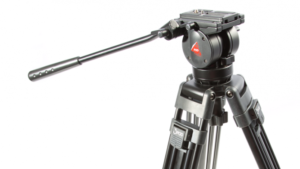 TRIPOD – Although gimbals are all the rage these days, the tripod will really serve the beginning filmmaker best. Most often than not, you’re gong to be shooting a scene with the camera locked down, and Caleb Pike says that a solid tripod, with a fluid head, is the best piece of gear you can get, even before you buy a camera. The reason? It teaches you framing and composition. Here’s Caleb’s choice: Benro S6 or S8. Tripods though, can be expensive. So if you’re on a budget, do what I did. Go to your local thrift store. There’s almost always a tripod there, and usually without the quick release plate. But in today’s 3d printing world, that’s easily solved. I got a Slick pair of sticks and I still use it. Cost $10. 2. LENSES – I know this is kinda like putting the cart before the horse, since we haven’t talked about cameras yet, but giving thought to what lenses you need will point you towards what camera you will end up getting. Most camera packages come with a kit lens somewhere in the 18-105 range, or even shorter. 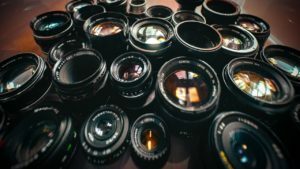 That’s an OK way to go, but with all the digital autofocus lenses on the market, looking back to the days of analog lenses is a great way to get a great looking image for not a whole lot of money. And the best reason is, it teaches you about focusing and rack focus, before you develop any bad habits and over-rely on autofocus when doing composition. Caleb recommends the Canon FD, but vintage lenses usually means having to go with an adapter for your camera, and if you’re going to do that, I prefer Nikon/Nikkor lenses. Get a fast 50mm (nifty fifty) f1.8 or below. A wide angle lens, and a good 105mm. You can even get a telephoto if you want. But those three will make for a good set to start out. And you won’t be wasting money on expensive Cine lenses before you’re ready. If you’re a thrift store junky, always be on the lookout. You’re bound to find something every time you go. 3. 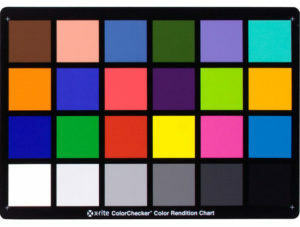 COLOR CHART – A color chart is a good tool for reference, which will help set you up for a proper color balance in post production. Bringing the chart on your set, and laying it down for a reference image in the light you are shooting, will help you to color correct and white balance your image correctly, and provide a more consistent image from shot to shot and scene to scene. Caleb recommends X-Rite Colorchecker Passport. 4. KEY LIGHT – Though today’s modern cinema cameras have over 15 stops of dynamic range, when you’re starting out, you’re likely not going to enjoy that luxury. And even if you do, having a good basic lighting kit with which to light your image will take your shot to a more professional look. Caleb calls the key light the “big fat source.” It’s your main light that’s going to illuminate the most part of your scene and subject. 5. ACCENT LIGHT – The Accent light goes where you want to highlight the subject from another angle, to make them look natural. Most often, it’s used to add light to the hair. Thus it’s an accent. 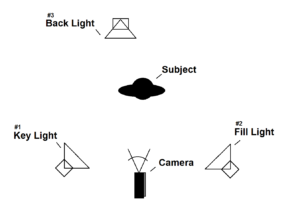 I’ll also point out here that a fill light rounds out the three point lighting trifecta, and is used to remove shadows caused by your key light. But if you a white piece of foam board or a collapsible reflector, you can get away with just two lights. And they’re cheap. What kind of lights here? Well, Caleb has his preferences, but when starting out, you’re likely going to go the DIY route. And there’s nothing wrong with that. But LEDs are your friend. 6. C-STANDS – Sure, you can use a Tripod or a cheap light stand bought off Amazon to get by, but a C stand is a kind of swiss army knife of the film set. 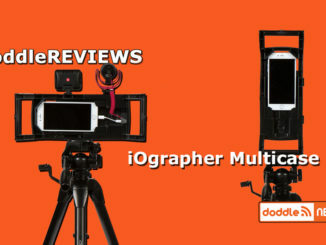 hey can be used to hold lights, your reflector, even your boom pole and microphone if you need it. And Ted used one in the video above to mount his camera during the interview. They can be used for anything, and you can get one pretty cheap these days off Amazon. But if you go with a C stand, you’ll likely need to have some weighted bags to keep them from tipping over. 7. SHOTGUN MICROPHONE – Simply put. It’s better to have a lackluster image from a cheap camera, with better audio, and than it is to have a great image, and rely on the terrible audio from a camera’s cheap microphone. I almost wish cameras didn’t have microphone’s built in. That you would be forced to buy a good shotgun mic for your audio. But that’s not the world we live in. Caleb has been digging on the Deity S-Mic 2, lately, because it offers great sound for the price. 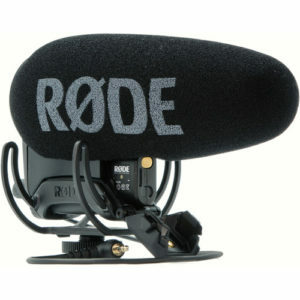 But I prefer RODE’s VideoMic Pro+. No matter what you choose, plan on spending anywhere from $50 to $300, depending on your budget. And always look to upgrade. 8. 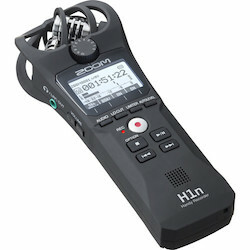 AUDIO RECORDER – When you’re just starting out, I have found the Zoom H1 is ideal for your first audio recorder. You can still get them pretty cheap on eBay, but last year Zoom came out with the H1+, which offers more advanced features like ….. There are other options out there, the H4n, Tascam, and others. Caleb recommends MixPre-3 from Sound Devices. It’s more of a digital mixing interface that records, and with the knobs and dials, you can really balance your audio for good sound. Whatever you do, don’t rely on your camera’s amps unless you have too. They’re largely there as an afterthought. If you’re stuck with it, then think about the You can also go with the Beachtek DXA-SLR Ultra. I used one for two years and it really helped me to dial in some better audio to my camera. 9. THE CAMERA – That leads to your camera. Ansel Adams once said that “the best camera is the one you have with you.” Today, Ansel Adams would probably be talking about the camera in our smartphones. Thanks to improved features, and apps like FiLMiC Pro and Moment, smartphones are reaching dynamic range rates of 12+ stops and a lot better color gamut. And if you think that mobile filmmaking is for amateurs, talk to Steven Soderbergh, who is crafting a second career using just the iPhone for his last two features. From there, you can move up the ladder with something basic, like the Canon 60D. Many shooters have even downgraded back to it, selling their more expensive cameras. The key feature here is the pull out screen. Nice for vlogging. But it really just depends on what you’re platform is. Then you can go to the Panasonic GH5, the Canon EOS R Mirrorless, or even the Nikon Z series. 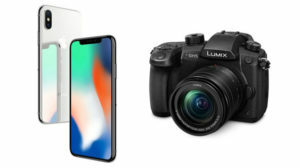 There’s no need to spend thousands, when there are plenty of affordable cameras on the market. And if you do go mirrorless, you’ll likely have to revisit item #2. That’s Ted and Caleb’s list. What’s in yours? Regardless, there are some things you definitely have to buy. But notice that there aren’t any gimbals or sliders or any of that high tech stuff. And there are a few out there that can certainly qualify for going the DIY route, if you need to save some money. Can a $16 Camera Microphone Work for Low Budget Filmmaking?